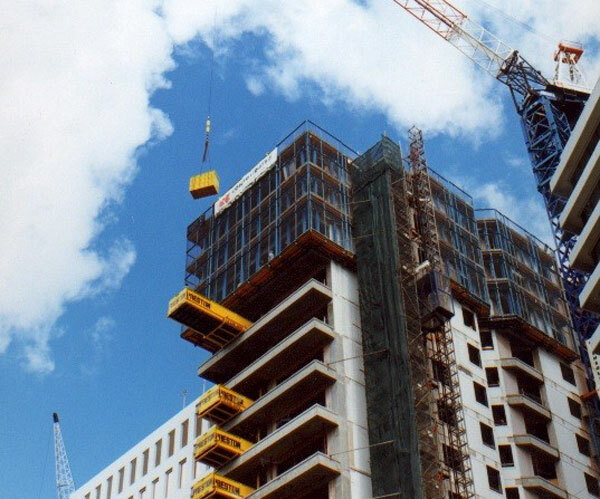 Builders Hoists have been involved in a wide range of projects from multi storey tower blocks to underground shafts hundreds of kilometres deep. Planning - We will work with customers to develop the access requirements in a practical way which will Improve the construction program. Experienced Staff - We have a team of dedicated staff who will find the best solution for difficult projects. Complete range of Equipment - We can offer machines from simple scaffold hoists to high capacity travel platforms to suit all applications. Cost-Effective - We will work with our clients to develop solutions which are not only completely effective but also competitively priced. Capable of lifting 25 metres high and lifting capacities up to 200kgs. They are easily installed by way of fixing to a scaffold or a prop. We can provide a range of Hoists to suit any particular requirement. We stock Goods only, Passenger only or a combination of Goods and Passenger Hoists as required. We can also provide a range of Hoists with varying cage sizes, loading capacities and lifting speeds, which leads to maximum productivity on all contracts large and small. 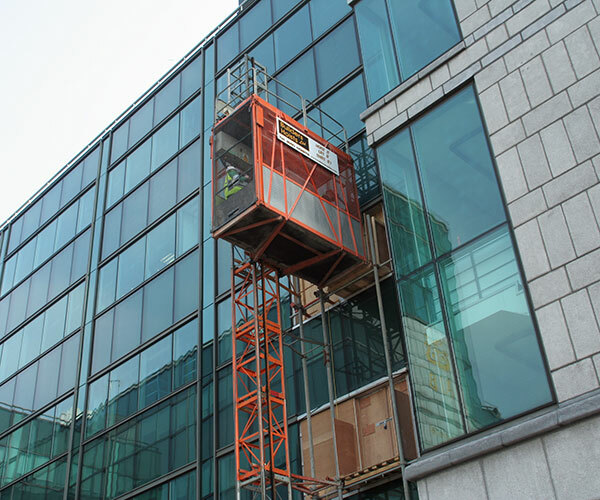 Mast Climbing Work Platforms provide fast and efficient access solutions. 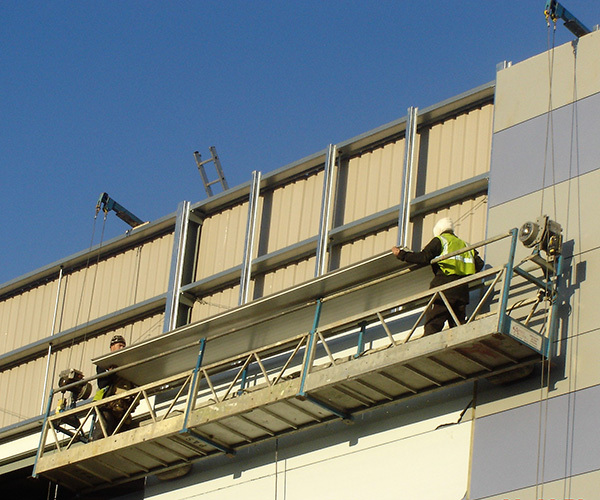 They offer a superior alternative to traditional scaffolding for cladding and glazing work. They are proven to cut labour costs as well as shortening production times. 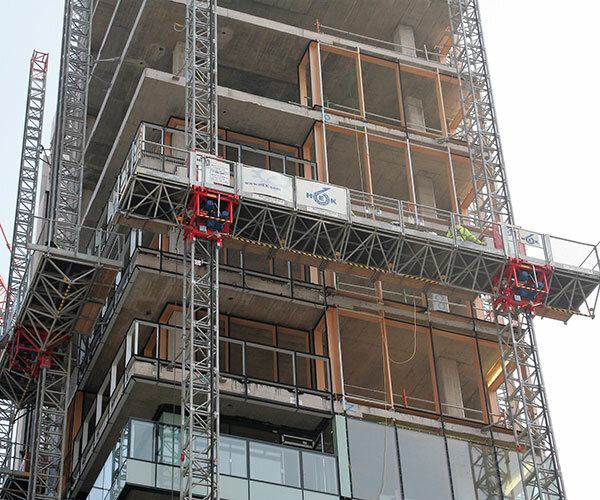 Suspended Cradles are work platforms hung from a height which can be raised and lowered by powered winches. 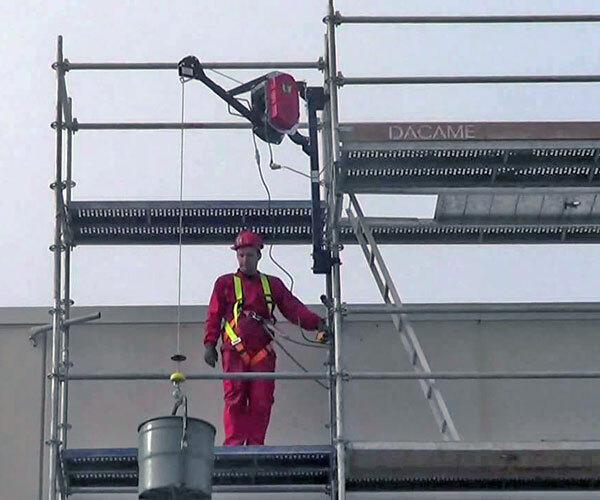 They are perfect for a variety of works such as cleaning, maintaining, and installation on any building or structure. They are ideal when access is restricted at ground level particularly, or the job is out of the range of traditional methods such as cherry pickers or MEWPs. Where space and access are limited on sites the Loading Decks provide the ultimate solution. The Fixed Platform Deck provides an excellent means of access for goods and equipment to the work floor. The Rolling Platform can be extended and retracted into the face of the building thereby allowing access to several levels if required. 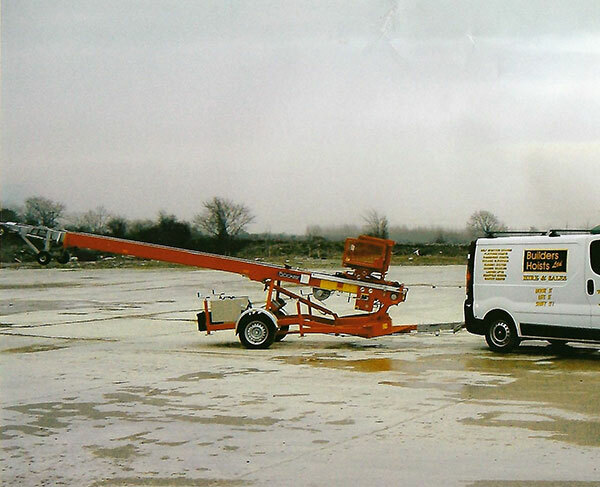 They provide safe and efficient means of loading and removing materials to and from a site. This machine is the perfect solution for transporting roof tiles, general building materials and furniture to medium height developments.